When it comes to essentials at home, everyone prefers for thing that are new with a modern concept and pretty much helpful at home. In this busy and hectic schedule of life getting something that could simplify work and daily routine at home is the real need of everyone. Home appliances are exactly the things that you need in uncomplicating your work at home ranging simply from a steam iron to a washing machine these are the things that are must have in every home. For example when you are in a rush to office and your shirt is not ironed, at that point you need a steam iron to do the task in seconds. For proper cleaning at home, one needs to access proper cleaning equipment in case you don’t rely much on home maids. 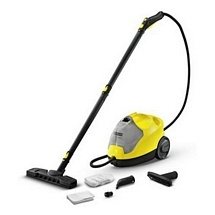 For all those cleaning seekers we bring to you Vacuum cleaners and other cleaning equipments from the house of Karcher which is a German brand and specialist in making cleaning equipments. Ranging from vacuum cleaners for home and commercial needs like MV1, MV2 to vacuum cleaners to clean road and pavement like areas with Karcher S650 and much more from car to glass cleaning we will cater all your need for cleaning requirements.